If you’ve been wondering what’s been happening at the Finger Lakes Museum & Aquarium in Branchport, join museum staff, board members, and volunteers between 10 a.m. and 2 p.m. Saturday, Sept. 8 to find out. Visitors will be able to tour the museum’s 29-acre campus and explore its Townsend-Grady Wildlife Preserve by land and water on mini-guided wetland walks and mini-guided eco-paddles from 10 to 11:30 a.m. and 12:30 to 2 p.m. Visual highlights will show the project’s accomplishments to date as well as future plans for development. Admission is free and everyone is welcome. The mission of the FLM&A is to inspire appreciation and stewardship of the cultural heritage and ecological evolution of the vast Finger Lakes Region. 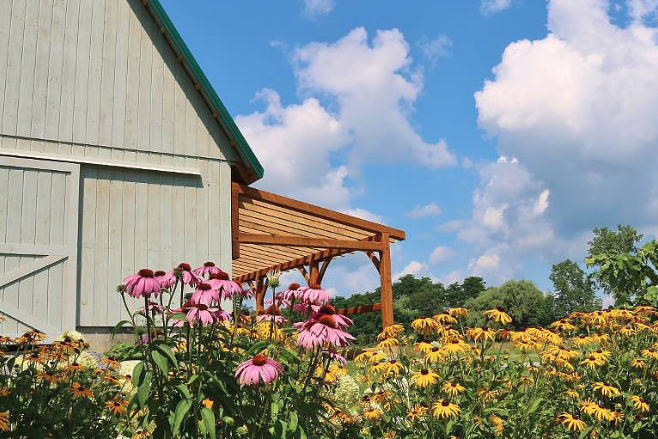 Located in the hamlet of Branchport on the northwest fork of Keuka Lake, the FLM&A’s 29-acre site encompasses a 16-acre wetland/preserve — known as the Townsend-Grady Wildlife Preserve — and a 13-acre campus that includes a 17,000 square foot building currently under phased renovation. Since its inception in 2008, the FLM&A has fulfilled its mission through outreach and new experiential program offerings each year, while working to establish an indoor space for even more experiences and exhibits. Each summer, the FLM&A offers a full calendar of public programs that include community and evening paddles, yoga, wildlife photography classes, timber-frame workshops, woods walks, bird identification walks, and more.